• Photographer offered to shoot client’s wedding for $6000. • There was a misunderstanding or miscommunication about a $150 album cover charge. • There may have been a communication problem between the photographer & client. • Client (who happens to be an expert in social media & a blogger) went to social media in a BIG way, contacting NBC. Initially the photographer was getting the majority of the social media heat – a virtual army of anonymous people took to the photographer’s page, blasting her for “unethical” behavior and being “deceptive.” They grabbed their virtual internet “pitchforks” and wrote false reviews about Andrea, gave her “one star” ratings, and for a short time, forced the photographer to take her Facebook page down. What can you do to AVOID a Social Media Nightmare? 1. Be exceptionally clear & upfront about all charges & fees in a document that you and your client signs. Ideally, everything should be in your contract – having multiple price lists & documents only invites more room for errors and misunderstanding. 2. Be proactive when a problem arises. We’ve all been there, you get that horrible feeling from the subject line of an email. You want to avoid it, deal with it later, but that is a big mistake. The longer you take to respond, the more likely your client will take to social media to air their concerns. If you truly can’t deal with the situation right away, at least respond with an accurate time you will respond (“I’ll look into this and get back to you by noon tomorrow”) and then stick to it. What do you do if you find yourself already in the Social Media Nightmare? 1. Pick up the phone, and then follow up with email. It’s a lot harder to be mad at someone in person or over the phone than through cold, clinical email. Make the call, face the problem head on. Take notes and then immediately email a summary of the conversation (that way you have the conflict, agreement or resolution in writing), and ask them to respond to confirm they received it. 2. Don’t get emotional. It’s very easy to feel like you are being personally attacked when you run your own business. Take a little time to analyze the situation. Talk to someone outside of your industry to get their perspective, a fresh set of eyes might see something you might have overlooked. 3. Don’t retaliate. This is losing battle, the majority of people will want to side with the “little guy.” If you do anything that can be interpreted as an “attack” or retaliation (posting on their Facebook wall, angry emails, etc), it will come back to bite you – in a major way. Everything can be screen-captured and recorded, make sure you are acting in a professional manner AT ALL TIMES (not matter what horrible or untrue things may being said about you). 4. 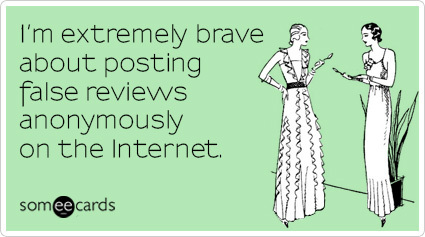 Tread carefully with social media. If there is no other option, and you feel your reputation is on the line, you can also take to social media, but do it the right way. Stick to the facts and again, don’t be emotional. Polito’s letter addressed every point and was very thorough, but if were advising a client on handling a similar situation, I would say shorter is better. Posts are more likely to go “viral” and be shared if they are short & succinct. If things have really escalated, like coverage on an actual news source like NBC, contact them or a competing station to share your side. *Full disclosure: I’m a former wedding photographer, so yes, my first instinct in this article is to side with the photographer, but I attempt to as fair and unbiased as possible. Also, I am not calling the client a “monster” – I’m just a big fan of alliteration.